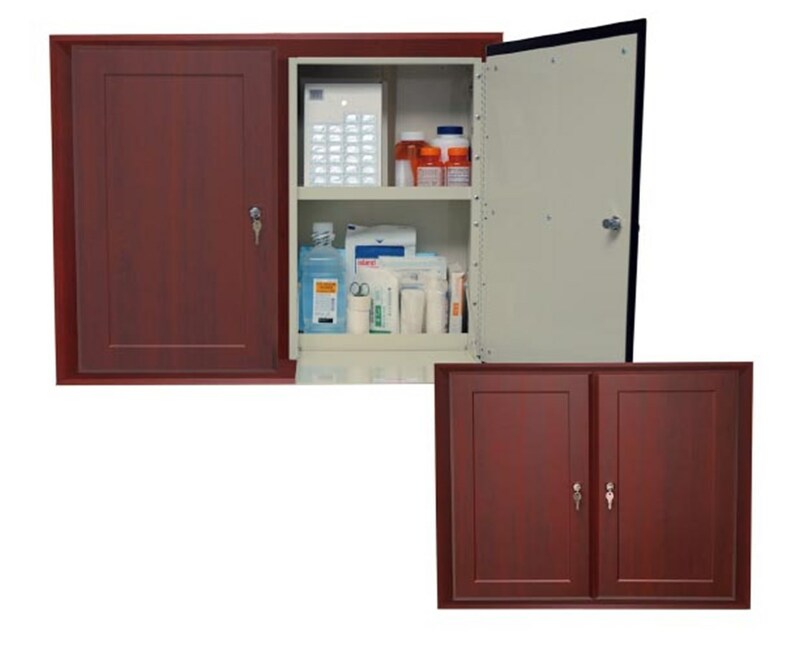 The Harloff Wood Laminate Double In Wall Medication Cabinet is storage device designed as an in-room installation to support up to 2 residents. It features a rich wood appearance which creates a better and more comfortable space. Durable and Beautiful Design. 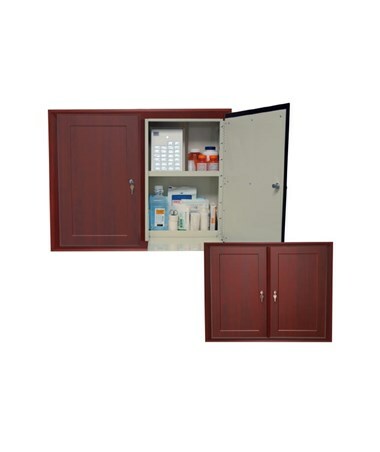 With a steel construction, the Double In Wall Medication Cabinet uses MDF panels that are covered with a special heat-pressed thermal foil wood laminate for increased durability and looks. It has a hard-baked powder coated Glossy Beige Finish on the inside. The cabinet features predrilled holes and include the hardware necessary for mounting it between wooden studs with 16" centers. A laminate trim package is also included to provide the finished appearance of one cabinet. Secured. The Wall Medication Cabinet has a slam lock system which secures the supplies easily & reliably as well allows the user to open and close the cabinet with one hand. Stainless steel pinned door hinges are designed to prevent tampering as it protects the pins used in the cabinet construction. Adjustable "L" brackets are included to generate easy division of the shelf space.